Are your expenses as low as they could be? That’s what Alpha Systems LLC, based in Elkhart, Indiana, wanted to know. They manufacture and distribute high-quality, innovative products and accessories for the RV, Marine, Commercial Roofing and Housing Industries. Because they operate on very tight gross and net margins within highly-competitive industries, their management team is always looking for ways to save money and lower their operating costs. Alpha Systems brought in an expense reduction competitor of ours to evaluate and help them implement significant savings. Since they ship goods, one area they could improve upon is lowering their shipping costs. They use Less Than Truckload (LTL) freight for shipping, which means their products are rated by class, and the cost to ship them is determined by that rating. The higher the class, the more they pay in shipping. 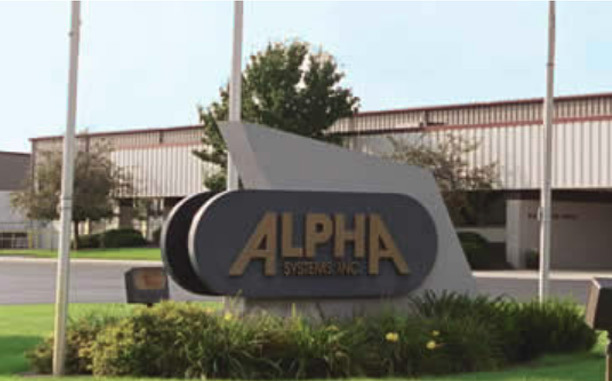 By consolidating some of their vendor base and rethinking some of their freight lanes, our expense reduction competitor was able to save Alpha Systems approximately 15 percent on their freight spending. Don’t get us wrong, this is significant savings, but Silverback was able to do better. After their agreement ended with the competitor, Alpha Systems hired Silverback to examine their LTL shipping costs. During the first half of 2017, we saved them 36.8 percent on their LTL shipping costs! And if Alpha Systems wants to maximize their savings, we found another 9 percent of savings available. This is just one example of many that shows Silverback has a better cost analysis and expense reduction process for helping clients reduce costs. We have many years of experience lowering expenses for companies across a wide variety of industries, and more often than not, we find additional savings for our clients, even when they’ve implemented their own cost reduction strategy already. Our proven process has resulted in savings in many business expense categories, freight being one of them. SELECT & SIGN: Together, we select categories to be reviewed, and an engagement agreement is signed. COLLECT & STRATEGIZE: We collect the data to develop an effective cost-reduction strategy. This includes reviewing records to benchmark current costs; meeting with appropriate client personnel to address any current relationships and current vendor likes and dislikes; gaining an understanding of client culture; conducting an off-site analysis; and strategizing cost savings. We recommend our strategy to you and adjust, if necessary. If you like what you see, you approve the recommendation. We help to oversee the implementation of our approved strategy with your staff. This includes drafting email correspondence, negotiating vendor contracts for client review and approval and assisting in any vendor transitions. The best part: Savings are realized! The results are then monitored and regularly reported to you. We ensure your savings are “locked in” and your profitability is maximized. Like Alpha Systems, if you’re not sure your expenses are as low as they could be, contact Silverback to do an independent audit of your expenses. You’ll find out if you’re doing everything you can to save money, or you’ll have a new plan to lower your spending and increase your profits. You have nothing to lose and everything to gain because you only pay for our services if our work and recommendations save your business money. Contact us today or call 317.580.8440 to get started.